carol j. phipps | all galleries >> Galleries >> Autumn Scavenger Hunt > Chalk and Cheese. trying to turn off the monitor!!! LOL. She is so cute! She is very smart! I love this. If I don't lock the back door, my cat knows it and jumps up and turns the knob and escapes! He's a stinker. 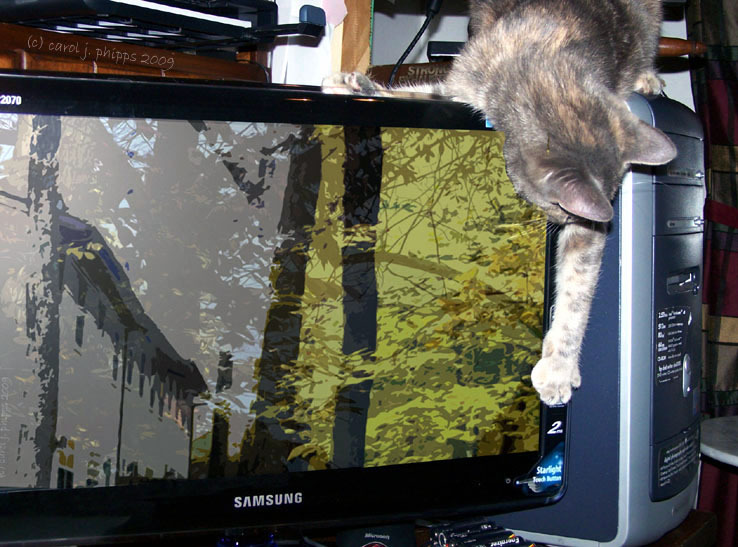 Lovely shot of the cat, hope she keeps her claws off the screen. Trying to get your attention? Cute capture Carol! Love this! Very nice timing and capture. Bad cat!!!! LOL... very cute capture. She must be smart! :-) Thanks for the smile!